How can I easily lip sync? What can I use to make VSQ files for free? How can I make VSQ files without VOCALOID 2? What are VSQ Files and UST Files? VSQ files are, in a sense, sheet music for VOCALOIDs. When you create a VSQ, you are telling the VOCALOID when to sing each note, what sounds to make, and how to make the sounds. 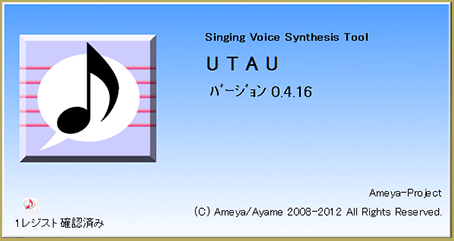 Though UST files function on the same logic, they are sheet music for the freeware singing synth UTAU. 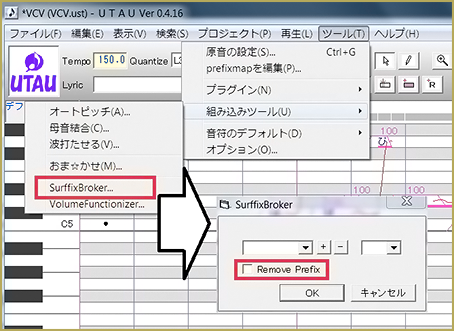 If you do not use UTAU or VOCALOID, you may think that you have no use for VSQ or UST files. However, VSQ files can do something amazing in MMD. When you import a VSQ file into MMD or Face and Lips, MMD will use the “sheet music” to make the model’s mouth move as if the model is singing. 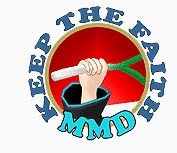 MMD cannot import UST files in the way it can import VSQ files. However, it is possible to convert a UST to a VSQ so that you can easily make your model lip sync. This is especially useful for UTAU users who want to make their UTAU’s model sing along with a song that their UTAU is singing. How do I make VSQ Files Without VOCALOID 2? One strange thing about the world is that VSQ files are considered the standard when it comes to VOCALOID adjacent programs. UTAU and MMD, for example, only accept VSQ files and not VSQx files. However, there was only one generation of VOCALOID that relied on VSQ files. That generation was VOCALOID 2. 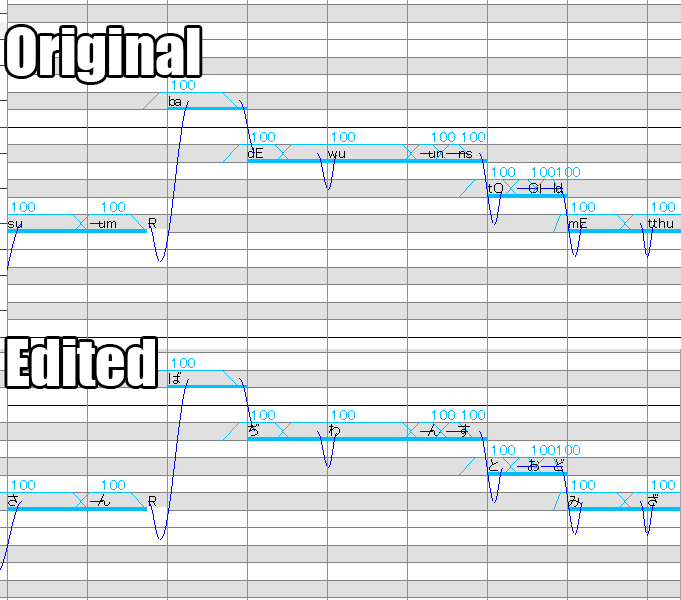 While it is possible to make VSQ files in later versions of VOCALOID with plugins, the easiest way to make VSQ files without VOCALOID 2 for lip syncs is with UTAU. UTAU is a freeware singing synth. To become a master UTAU user, you must do things like change your locale to Japanese… However, for this you simply need to download it. If you wish to make your own USTs to export to VSQ, you will need to find a way to either convert USTs to hiragana or learn to type in Japanese. The VSQ export function only works with hiragana characters. How can I use USTs to make VSQ Files Without VOCALOID? There are many, many UST files floating around the internet. While I don’t feel comfortable linking directly to a directory, searching Google or Youtube for a song name followed by “UST Download” will often allow you to find exactly what you’re looking for. It is extremely easy to convert a UST to VSQ for use in MMD or Face and Lips. Simply download the UST you want to use, then drag and drop it into UTAU. If the UST comes in a ZIP or RAR file, you need to use a program like WinRAR or Bandizip to unzip them before dragging it into UTAU. When the icon looks like the following image, you’re good to go! There are only two known issues you’ll run into, and both involve lyrics being returned as “a” … and only “a”. This comes when you use a romaji UST or you use a VCV UST. For a romaji UST, you must find a converter. However, using a VCV UST is much easier. You simply need to select the entire UST, then use the “Suffix Broker” to remove the prefixes. If your locale is not set to Japanese, then it will look like strange squares. Note: my locale has been set to Japanese since around 2009, so I don’t have any images of “mojibake” in UTAU. Once you’re ready to export your VSQ, simply go to “File” then “Export”. 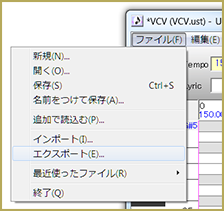 Change file type in the “Save As” window from MIDI to VSQ, and you’ll have a file to import into MMD or Face and Lips! What If I Want To Make My Own VSQ From Scratch? Making your own VSQ from scratch would be identical to making any other UST file. However, you would be limited to only using hiragana. There are many tutorials for making UST files. You can make them from scratch or use a MIDI. However, if you simply want to make a lip sync and not actually make an UTAU or VOCALOID sing, you don’t need to actually figure out the correct pitch. You can simply make sure the notes are timed correctly, leave all of the notes at the same pitch, and then enter the lyrics. This would be helpful to someone who is making a lip sync of a real person singing. What if I Want To Use An English Song? Now, this is tricky. There are three ways to do this. You can either simply replace the English vowels with Japanese vowels or you can spend a lot of time thinking about how to transcribe an English song into Japanese. The third way is simply to just use the VSQ as a timing guide in Face and Lips and not care about the fact that all of the vowels are just “a”. MMD has an amazing feature that makes lipsyncs more realistic. When it sees that the VSQ has the phoneme “p”, the model will fully close her mouth, whereas the same thing won’t happen for the “w” phoneme. To take advantage of that, you can convert an English UST to hiragana. Be warned that no matter how you go about it, you will need to do some editing to make it more realistic. This UST is Cdra’s All Star UST. This is extremely difficult to accomplish. It is much easier to convert an English VSQ to Japanese in UTAU as there aren’t all of those tweaks to make English in UTAU work. However, that also means that you would need to create new notes for the “n” sounds at the end of words so that MMD could make the model close its mouth. Can I Use English VSQs Files Without VOCALOID? Nope. The only vowel Japanese VOCALOIDs and English VOCALOIDs have in common is “e”. That means that the only vowel that will appear in MMD or Face and Lips is “e”. Perhaps if you replaced all vowels with “e”, then it could work. However, that would require the use of VOCALOID. Hopefully, this article was helpful in teaching that it is possible to make VSQ files without VOCALOID for use in MMD and Face and Lips! I followed the screenshot instructions for removing the “a” prefix using the Suffix Broker but when I import into the Face and Lips program, all I see are “a” shapes. What do I need to do to make it work? Do the lyrics in the UST look like “か　き　く　け　こ”?